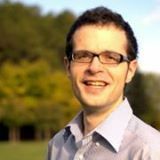 François Garillot joined Typesafe in 2012 after an early stint in research, where he spoke frequently at international conferences. He is now working in Typesafe's Spark team, leveraging his Scala knowledge to improve Spark's support for scalable machine learning and data science applications. Based in Lausanne, he speaks at Swiss conferences and Scala user groups in Lyon and Paris. He recently spoke at Strata Hadoop Barcelona on how to make your next big data hackathon successful.